Are you locked out of your house and do not know what to do next? When facing a house lockout, this is the time when you start wishing that you had entrusted your neighbor with a spare key. Others start regretting why they did not keep a spare key in the car. Well, house lockouts occur more often than you might think. 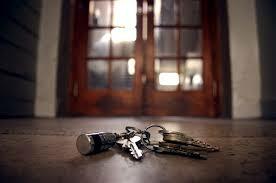 At Quick Key Services Sherman Oaks, we offer our residential clients house lockout rescue services. If you just arrived at your home and realized you lost your house keys, do not worry because at Quick Key Services, we will assist you. Having served residential clients for many years, we have the experience required for fast house lockout service. Here is what you should expect from us when you are facing a house lockout. Nothing matters to us more than winning the trust of our clients. For the years that we have been in business, we have always worked tirelessly to make sure that we are the most trusted residential locksmiths in town. This applies when it comes to house lockout rescue and several other services that we offer our clients. Therefore, when you are looking for the most trusted residential locksmiths in your neighborhood, contact Quick Key Services Sherman Oaks. Fast delivery is always at the core of our business. We understand how important it is to serve our clients in a timely manner. Therefore, as soon as you contact us for a house lockout rescue, we will immediately dispatch our highly experienced staff to your residence. Our house lockout rescue service is reasonably priced. We will deliver to your expectations and make sure you realize the value you’re getting from our services. Contact us through the office line and we will offer you custom pricing to match your desired budget and style. Do you Work over the Holidays? We are a 24/7 locksmith services provider and we are always open for business, even over the holidays. We have a team on standby always, waiting to serve you. Therefore, you can contact us even past midnight. How Long Will a Normal House Lockout Take? We employ highly trained locksmiths and have equipped them with top class equipment for fast service. Therefore, you can expect the process to take a matter of minutes when the technician arrives onsite. Contact our locksmith company today for a fast and qualified service delivery, guaranteed. When should I call a locksmith? Quick Key Service Sherman Oaks provides emergency, automotive, residential, and commercial lock and key services to our customers in the Sherman Oaks area. We’re available 24/7 and have fast response times all over Los Angeles. 2018 Locksmith-Shermanoaks. All Rights Reserved.